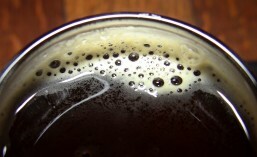 Craft beers come in a wide variety of styles, and each style has managed to find its audience. With so many different styles to chose from though, IPA still remains the most popular style of craft beer by far and the New England style juicy/hazy IPA has taken the spotlight over the past couple of years, outselling all other sub-styles of IPA by a wide margin. Although the juicy/hazy sub-style of IPA was only officially recognized by the Brewer’s Association in March of 2018, by the time the Great American Beer Festival rolled around in September, the “Juicy or Hazy Pale Ale,” “Juicy or Hazy IPA” and “Juicy or Hazy Double IPA” dominated GABF entries. Juicy/Hazy Pale Ales and IPAs made up 706 entries (Juicy or Hazy Pale Ale: 131. Juicy or Hazy IPA: 414. Juicy or Hazy Double IPA: 161.) compared with 331 entries for the more traditional American-Style IPA. Many breweries have resisted jumping into what’s come to be known as the haze craze and, in fact, many breweries out there still refuse to make a hazy IPA. Others, like Firestone Walker Brewing Company, have simply been busy with other projects (like their experimental Luponic Distorion series and their Leo v. Ursus series). However, now they’re ready and the time has come. After a year of experimentation and development, say hello to Firestone Walker’s Mind Haze hazy IPA. Black Raven Brewing Company (CBM Sponsor) puts out lots of great IPAs including their popular Trickster IPA and, my personal favorite IPA from Black Raven, Wisdom Seeker Double IPA. They also put out some lighter IPAs like Beak Tweaker Citrus IPA and their Nothing But Flowers Session IPA. Now, Black Raven is finally set to jump into the juicy, hazy New England style IPA craze with their latest offering: Nothing But Haze. Based on their Nothing But Flowers Session IPA, Nothing But Haze is still sessionable at just 5.0% ABV. They’ve been doing it for years. They keep changing partners too. Each year you wonder what could possibly make it so… hard… to find. They give you quick flashes of it at preview events, building up your anticipation, but hold back that final version until they’re ready for full release. I’m referring of course to Fort George Brewery‘s annual release of 3-Way IPA. Each year this extremely popular collaboration brew is sought after by IPA fans everywhere, and it can go fast, making it somewhat difficult to find at times. For this year’s version of 3-Way, Fort George Brewery out of Astoria, Oregon has teamed up with Holy Mountain Brewing Company out of Seattle and Modern Times Beer out of San Diego. All three breweries are well known for making some excellent IPAs, so this sounds to me like the perfect recipe for a collaborative IPA made in hophead Heaven. The IPA is a complicated beast. There are several different sub-styles including: English, American, Belgian, Black, Brown, Red, Rye, White, etc. Right now, however, fruity, juicy, tropical IPAs seem to be the most popular, as evidenced by the Brewer’s Association officially adding ‘Juicy or Hazy’ to their 2018 Beer Style Guidelines. In the World of craft beer, the IPA is king. There’s no denying it and, right now, the hazy and juicy New England Style IPA is the dominant sub-style. Everywhere you look there are cloudy, hazy, fruity IPAs that embody this very popular style. The Brewer’s Association has taken notice of the meteoric rise in the popularity of this style and have added a new category to their 2018 Beer Style Guidelines: Juicy or Hazy Ale Styles – including: “Juicy or Hazy Pale Ale,” “Juicy or Hazy IPA” and “Juicy or Hazy Double IPA.” I’m somewhat perplexed that they didn’t call the category “New England Style”, but I’m sure they have their reasons.